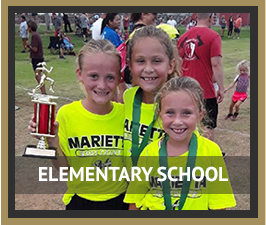 At Marietta Elementary School, we believe there’s a lot more to education than just what happens in the classroom. Students need the opportunity to apply their skills with extracurricular, hand-on activities like clubs and sports. 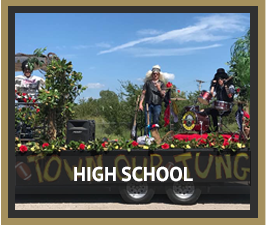 We offer our students many opportunities to get involved outside the classroom, allowing them the chance to grow not just academically but physically and socially as well. To learn more about joining a school club, please contact your child’s teacher. Marietta has officially recognized 4-H as a school organization. In 4-H, we believe in the power of young people. We see that every child has valuable strengths and real influence to improve the world around us. We are America’s largest youth development organization— empowering nearly six million young people across the U.S. with the skills to lead for a lifetime. Our goal is "to make the best better." 4-H comes from Cooperative Extension, a community of more than 100 public universities across the nation that provides experiences where young people learn by doing. 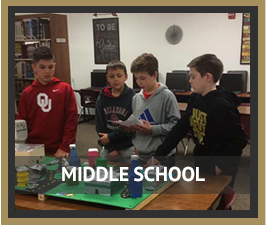 Kids complete hands-on projects in areas like health, science, agriculture, and citizenship in a positive environment where they receive guidance from adult mentors and are encouraged to take on proactive leadership roles. Kids experience 4-H in every county and parish in the country, through in-school and after-school programs, school and community clubs, and 4-H camps. It is for students age 9-18 who wish to participate in some life changing experiences. If you would like to join, please contact Mr. McClendon in the high school. 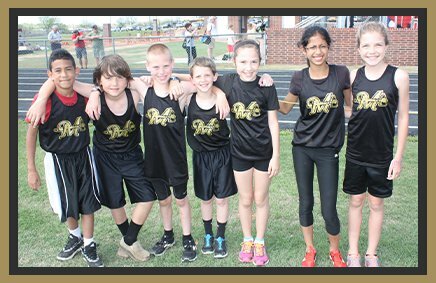 Marietta Elementary is proud to offer the following sports programs for fifth graders. Our fifth grade teams compete against neighboring districts; please refer to the schedules elsewhere on this page. We require participating students to have a sports physical and keep their grades up. Great Expectations is a program based on the core belief that a climate of mutual respect and high expectations provides a foundation to increase learner involvement. As a school, we find these beliefs to be important both in and out of the classroom. These eight expectations act as guidelines for our behavior during all school-related activities. We will teach and model these values throughout the year as we begin our journey to become a Great Expectations school. Please view our schedules for the following teams.